If consistency really is the key to achieving your goals, then UL Lafayette has achieved pretty much all of their goals in Mark Hudspeth’s tenure. In Hudspeth’s four years in Lafayette, the Ragin’ Cajuns have gone 9-4 and won the New Orleans bowl every year. The only other current team with four consecutive nine or more win seasons and four consecutive bowl victories? The Oregon Ducks. Nine or more wins may seem like a tall task for a team breaking in a new quarterback, but with a running back like Elijah McGuire it could prove more doable than it originally seems. McGuire is a versatile back that runs with agility and power, catches the ball out of the backfield, and is an effective “Wildcat QB”. Remember when the “Wildcat” was all the rage in football? Simpler times. 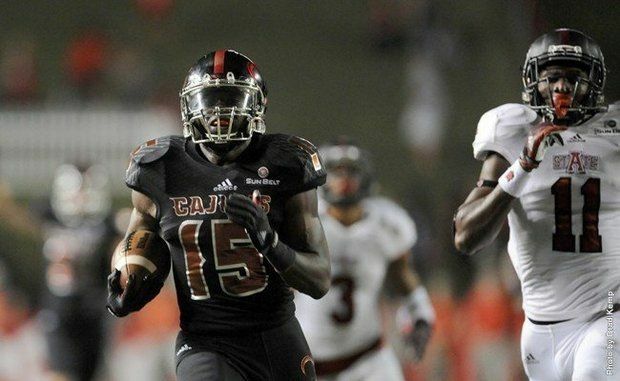 McGuire is probably the biggest single offensive threat in the Sun Belt. Another thing that makes him so dangerous is that he is probably running behind the best offensive line in the conference. 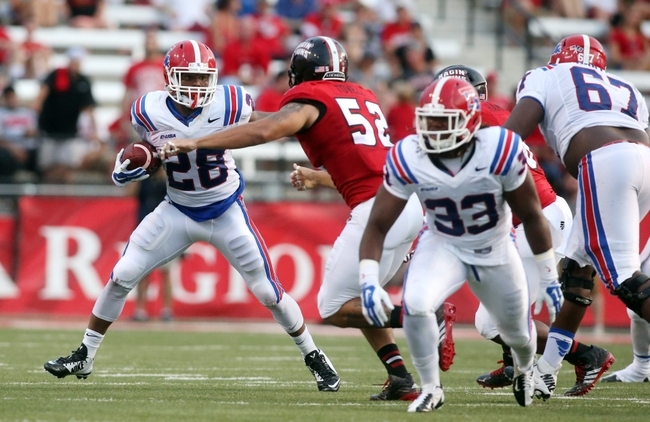 LT Mykhael Quave, a three-year starter, returns after being named 2nd team All-Sun Belt last season. Quave has started every single game the last three seasons. RT Octravian Anderson and LG Donovan Williams are two- and one-year starters returning, respectively. It’s astounding that none of these three guys have missed a game for any reason. Hudspeth must be in tough with Nola’s best witch doctor. One thing that is not set in stone for the Cajuns is the passing game. 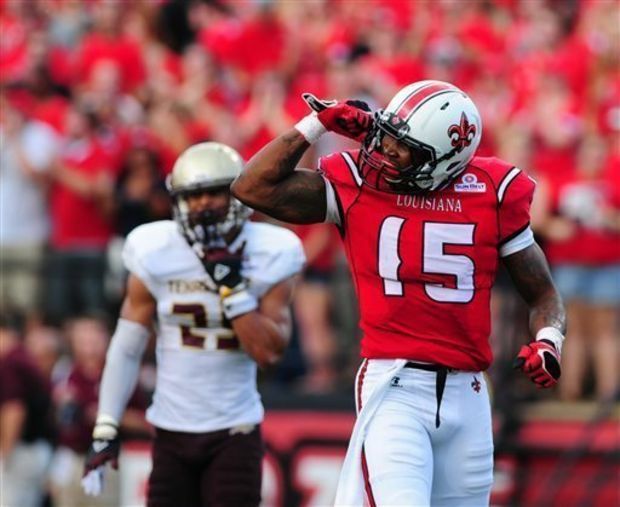 Terrence Broadway is gone after amassing more than 9,000 yards and 69 touchdowns as a three-year starter in Lafayette. His replacement battle is undecided, but the frontrunner is last year’s backup Brooks Haack. He faces stiff competition from scrambler Jalen Nixon, redshirt freshman Jordan Davis, and true freshman Dion Ray. The guys catching the ball are not particularly surefire commodities either. It does help that Jamal Robinson was granted a fifth year of eligibility due to medical hardship. However, coming off of both foot and knee injuries, there’s no guarantees that he will be as good as he was pre-injury. However, having a 500-yard receiver in the backfield always helps. For a defense that loses both corners and interior linemen, the middle is going to be the key to success for this defense (along with consistency). With WLB Dominique Tovell leading the way, it wouldn’t be too absurd to bank on the linebacking corps leading a solid Sun Belt defense. MLB Kevin Fouquier and SLB T.J. Worthy, neither of whom started last season, should aid Tovell as both saw the field a fair amount. Christian Ringo’s 20.5 tackles for loss and 11.5 sacks will be a tall task to replace, and probably not replicable by any single player. The good news is that there is depth up front, albeit inexperienced depth. Also, with three 300-pounders on the defensive line depth chart, the Cajuns have plenty of size too. New defensive co-coordinator Melvin Smith emphasizes aggressive secondary play, but if his style is to be successful a new secondary will have to jell quickly and outperform their predecessors. SS Tracy Walker is the only regular returning starter, but all of the other pieces have at least some playing experience. Yep, I’m sticking with the consistency model, although not exactly. Should Louisiana-Lafayette go 9-3 in the regular season, then one of the two streaks will snap, either the bowl wins or the nine wins. With road trips to Kentucky and in-state non-conference rival Louisiana Tech, the schedule isn’t exactly a cakewalk. In conference, the home schedule is very manageable, but trips to Appalachian State and Arkansas State present potential losses. Also, you may have noticed that I have them going 9-3 along with two other Sun Belt co-champions, but with a worse predicted conference record they don’t get to share the fictional, meaningless preseason title of “4 Down Territory On-Paper Conference Champion”.